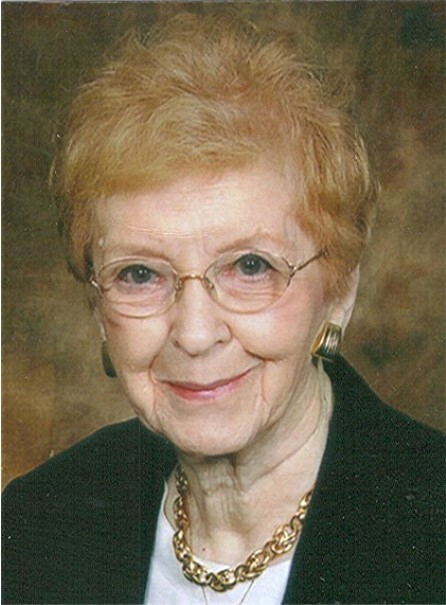 Obituary for Jean L. (Longwell) Holbert | Timothy A. Berkebile Funeral Home Inc.
Jean L. Holbert, 95, of Bedford, passed away on April 2, 2018 at Donahoe Manor Nursing Home. She was born on November 19, 1922, in Bellefonte, a daughter of the late Malcolm S. and Dorothy (Williams) Longwell Sr. On September 20, 1947, in Bellefonte, she married John H. Holbert and her death ended a marriage of over 70 years. Along with her husband she is survived by a son, John E. Holbert and wife Robin of Bedford; one grandson, Rick Border and wife Lori of Wintersville, OH; one great-granddaughter: Brooke Border, also of Wintersville, OH. She was preceded in death by one sister, Lois Richardson, two brothers Malcolm S. Longwell Jr., and Larry Longwell. Jean graduated from Bellefonte High School and worked for Bell Telephone Company prior to marriage. She and her husband began their married life in New Castle, and moved to Bedford in 1953. Jean was a member of the Bedford Presbyterian Church. She enjoyed working in her home, reading, and visits from her great granddaughter Brooke. The family would like to thank the staff at Donahoe Manor and Grane Hospice for their compassionate care during the last weeks of Jean’s life. Funeral Services will be held on Thursday, April 5, 2018, at 11:00 am, in the Chapel, at the Timothy A. Berkebile Funeral Home, in Bedford, with Pastor Joy Kaufmann officiating. Burial will be private. Friends will be received on Thursday, 1 hour prior to the service at the funeral home. Those wishing may make memorial contributions to the Bedford County Humane Society at 1108 Lutzville Road, Everett, PA 15537, or the Bedford Presbyterian Church, P.O. Box 7, Bedford, PA 15522. Our online guest book is available at www.berkebilefuneralhome.com.